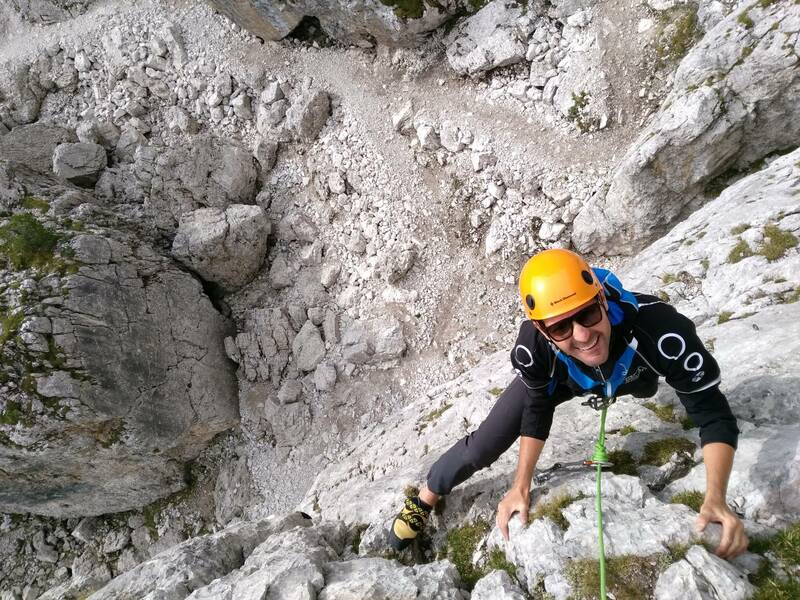 Cinque Torri, a perfect sequence of pinnacles is considered a climbing paradise, set in the heart of Dolomites. It is an ideal place for both, beginners and experienced climbers. In either case a fantastic way to live and breathe Dolomites. All future and seasoned climbers will start with the smaller, easier rocks helping you to get more confident, where in the end we’ll all reach one of the five towers and enjoy the sweet victory of the final conquest. After morning meeting and greeting over a cup of steaming coffee, we’ll go up with lifts to magnificent belvedere of memorable Rifugio Scoiattoli ( Squirrel refuge), in the heart of Dolomites. Memorable place of beauty and name. A quick walk will take us to the bottom of the rocks which you will spend a whole day exploring. You’ll learn how to use the equipment, tie a rope but most importantly how to climb up for the first time. You’ll climb rocks some 10/20m up, giving you a feel of the ‘alpine climbers’. 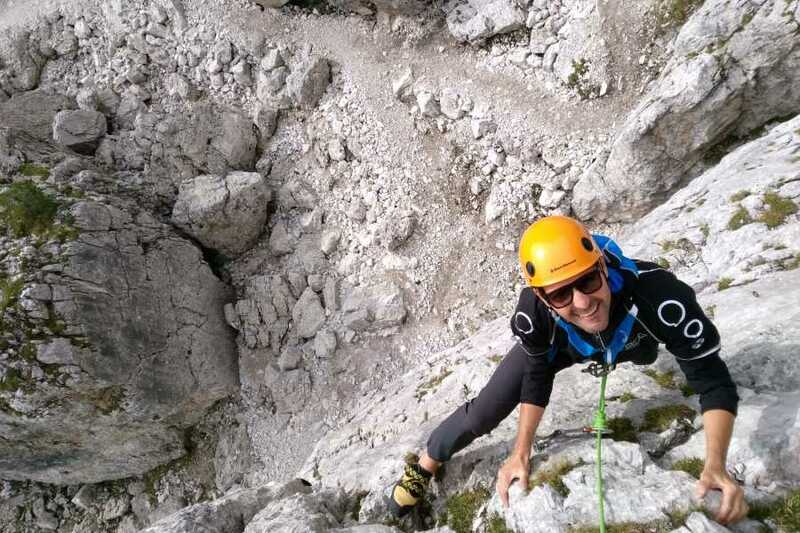 For the first-time climbers, Cinque Torri is an ideal place to start. Pinnacles between 10m-200m allow for an infinite number of climbing routes to choose from, all which vary in length in and in difficulty. Surrounding area and the views are equally fantastic. In addition, especially for all WW1 history buffs, some of the fiercest fighting tool place in these idyllic mountains. There are a number of historic trails and trenches fully reconstructed giving you a real feel of the time. Itinerary: Chosen Itinerary will be at Guide’s discretion, based on each participant’s technical abelites. Guide can at any time change, modify and/or stop the activity due to the lack of minimal safety measures. Health and fitness requirements: Participants should be moderately fit and in good health. Any health issues must be communicated upon booking, prior to undertaking any physical activities related with the chosen programme. This is for your own safety and the safety of the group! Weather and programme change: Travelsport Team Member has a right to modify a programme at any time during the activity, based on the changing weather conditions, or for any other reason which could jeopardies the safety and security of the participants. Clothing and equipment: Technical alpine clothing, wind/waterproof jacket, walking boots, harness, climbing helmet and shoes, approach shoes, packs with energy snacks and drinks and a torch. Travelsport may provide all required technical equipment. Excluded Services: Arrival and pick up from lifts. Unless specified otherwise in the Included services above, all other services are duly excluded. Number of participants: Perfect for family up to 5 members. For families over 5 members, it would be recommended to have another guide. Changes or Cancellations due to adverse weather conditions: A new activity date will be agreed. If the new date cannot be set, the booking will be refunded in full.